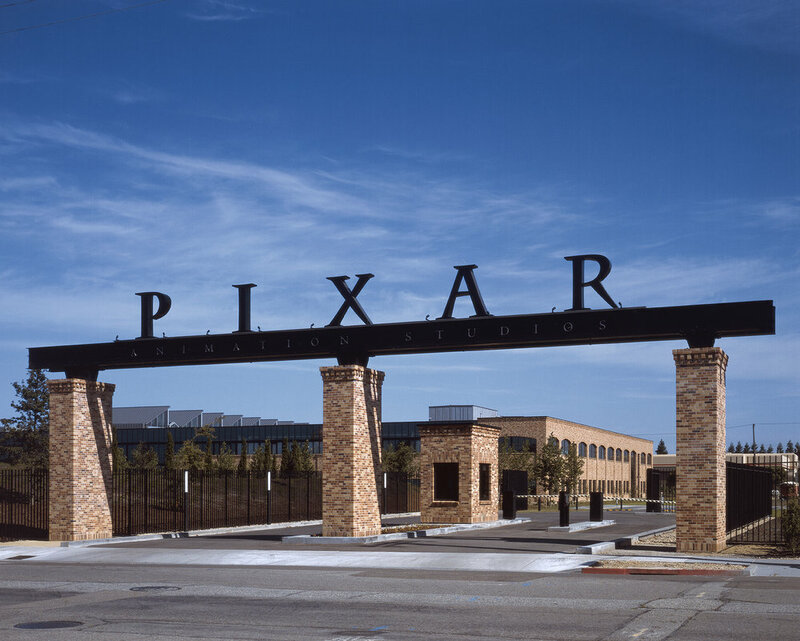 Pixar is the industry leader in the use of computer animation to create original feature films, as exemplified by the company’s many hit films. 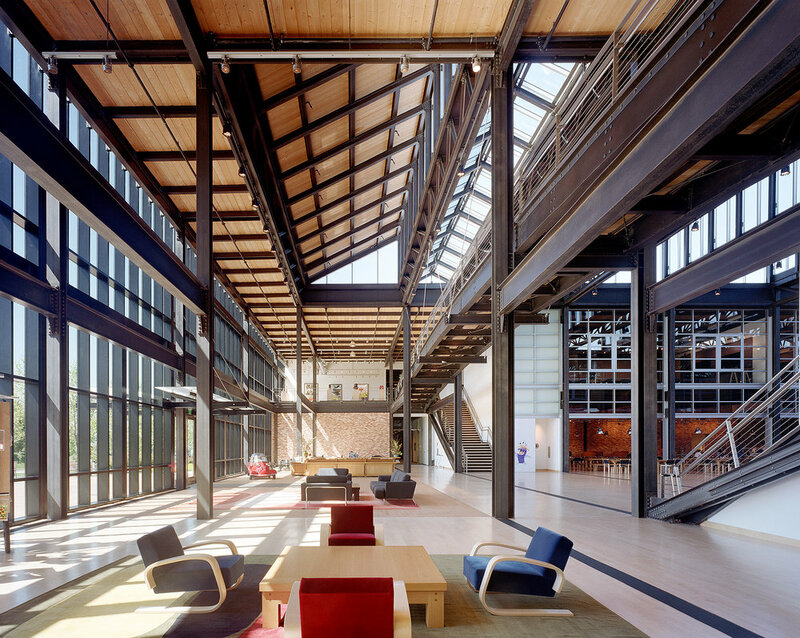 Pixar employs story artists, animators, and computer scientists and its business success relies on the ability to attract top people. Another challenge Pixar faces is the maintenance of a culture, which favors cross-pollination of ideas among these diverse specialties. 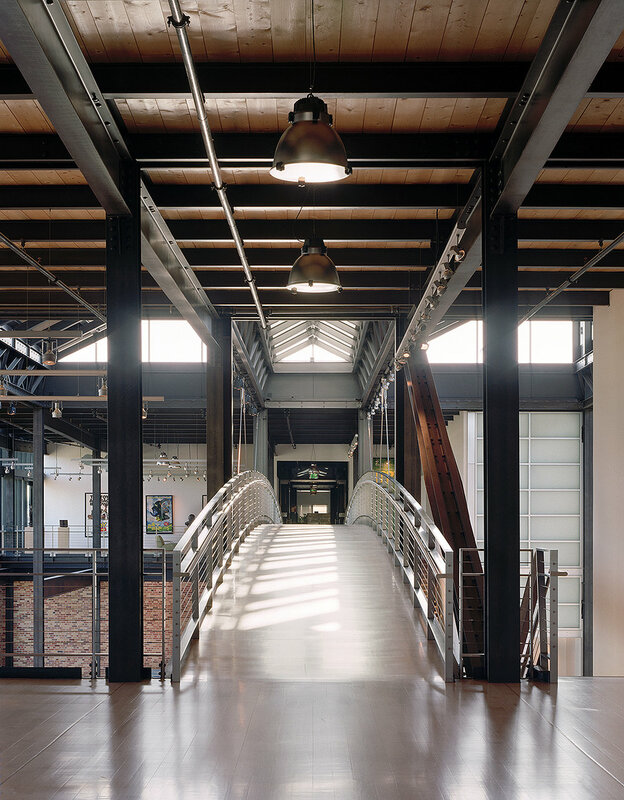 Solutions to these challenges are an explicit part of the design brief for the facility. The $90 million first phase is a two-story, steel and masonry building. 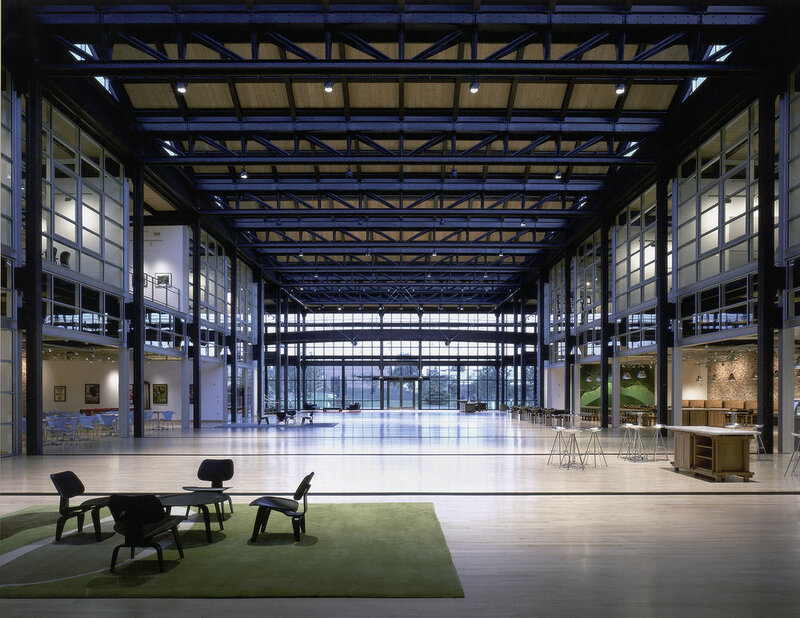 At the core of the facility is a large atrium that acts as a central piazza for the campus. Facing this public space are the offices, a 600-seat film theater designed to THX standards and two forty-seat screening rooms. 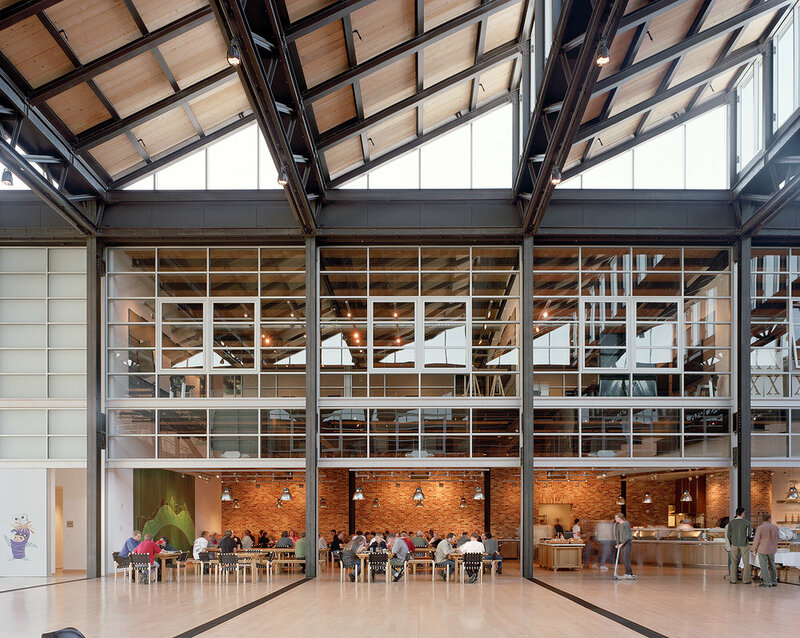 The piazza includes an arrival lobby and registration area, a cafe and a fitness center. 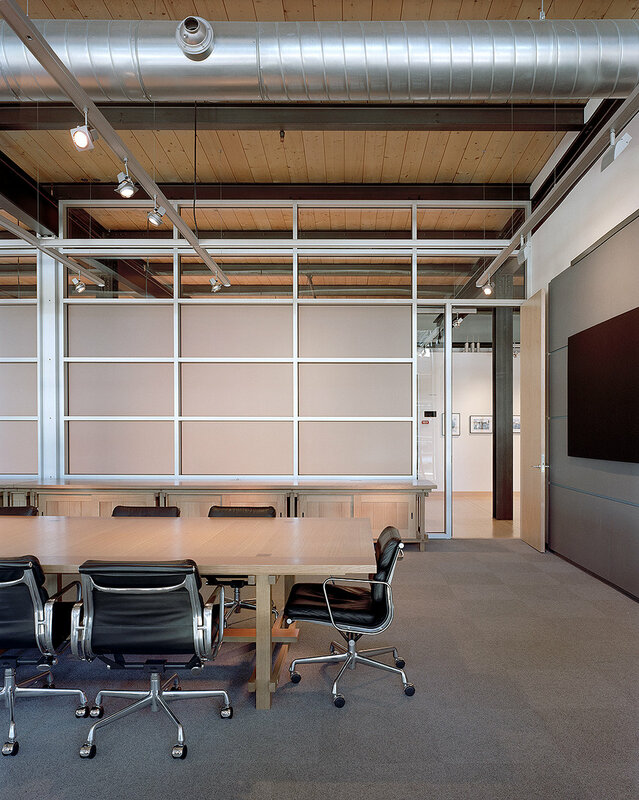 The qualities of light, space, architectural interest, and the integration of technology throughout foster a cutting edge, yet humane, interactive workplace. Landscaping plays an unusually important role in unifying the campus and helping to define it as a special place in its urban context. The landscape, designed by Peter Walker Partners, is agrarian in character, with many seemingly undiscovered places to walk, sit and talk, or eat lunch. It includes a 600-seat outdoor amphitheater, a soccer field, and an organic vegetable garden, flower cutting gardens, and a wildflower meadow.